Have you read the Kanin Chronicles – Frostfire, Ice Kissed, The King’s Games: A Novelette, or even an early proof of Crystal Kingdom? Do you have a favorite quote? 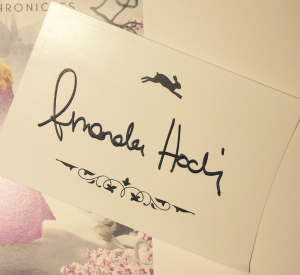 Do you like winning prizes, specifically signed bookplates? Then this is the contest for you! The Prize: A signed bookplate that fits nice inside the covers of any of the books in the Kanin Chronicles. 1. Twenty-five winners will be chosen at random (I’ll assign each comment a number, so the first comment is 1, the tenth comment is 10, and so on, and then I’ll use a random number generator to pick a winner). 2. Comment below with your favorite quote from any of the Kanin works and be sure to include an email so that I can contact if you win. (You can share your favorite quotes on Facebook, Twitter, Tumblr, Goodreads, etc, too, but that would be just for fun and wouldn’t count toward your entry. But I do like seeing quotes that people really enjoy). 3. The contest runs from today (July 6) until July 25th at midnight. 5. This open internationally, so feel free to enter no matter where you live. PLEASE NOTE: If it is a quote from a proof of Crystal Kingdom, please avoid any spoilers, or I will delete the comment, just so people reading through aren’t accidentally spoiled before the book starts. Any non-spoiler quotes will be left. But for love, I’d gladly kill myself again. “Remember my name, because i’m going to be the one who is going to kill you” This quote just gave me the chills and it just so intense, I love it! Don’t say anything that would spoil this. Let’s just leave this as it is.